Figures can help provide startling comparisons, causing us to question underlying trends. Recent information and figures from Wigan and Horwich have once more caused questions to be raised. Wigan Athletic lost £3.9m last season. Having to pay agents a total of £1,461,088 was a contributory factor towards the loss, which had come after three consecutive years of making a profit. The last time Bolton Wanderers announced a profit was in 2006. Referring to their loss in 2014 the club stated that ”Net loss improved by £41.6million, down to £9.1million year on year.” A couple of weeks ago Wanderers were issued a winding-up petition by the HMRC, which goes to court on January 18th. Owner Eddie Davies has loaned the club £185m over recent years, but is not prepared to continue to pump money in. In the meantime they are looking for ways to pay their players and staff. The scale of Latics’ loss for 2014-15 came as a surprise to most of us, although it is small compared with those suffered by other Championship clubs last season, not just Bolton. In the summer of 2014 Dave Whelan made a calculated gamble in a bid to get Latics back into the Premier League. Is David Sharpe about to follow in his footsteps? The words of Jonathan Jackson to Wigan Today after announcing last season’s financial loss. It is certainly reassuring to hear that the owners – the Whelan family – remain committed towards getting the club back into the Premier League. The question is how they will be able to develop and improve things at the club to make it a possibility. Will the Whelan family remain the benefactors to Wigan Athletic that they have been in the past? Last season Dave Whelan had given major backing in the transfer market to Uwe Rosler, who had taken Latics to the FA Cup semi-final and the Championship playoffs. £7.3m was brought in through the sales of James McArthur and Callum McManaman. But £10m was spent on transfers into the club, the majority on Andy Delort, Adam Forshaw, Emyr Huws and Oriel Riera. Other signings were made at lesser prices, with some being free agents. But not only was it the shelling out of money on transfer fees that was to cost the club, but Rosler had brought in eleven new players. The large squad that resulted was to eat away at the budget week by week. Sadly things went pear-shaped for Rosler, who was sacked in November. Seeing his financial gamble starting to look less viable, Whelan was to embark on a huge cost cutting exercise in January. The hapless Malky Mackay was to be the manager who oversaw a fire sale that resulted in swathes of players leaving in the January transfer window. But that too turned into a gamble that turned sour on Whelan as Latics’ severely pruned squad just did not have the quality to hold their own in the Championship under a manager who could not deliver. With hindsight one could say that Whelan’s appointment of Malky Mackay caused more damage to the club on and off the field than anything previous in the club’s history. The January sales certainly helped rebalance the finances. If those players had stayed the budget would have been propelled much further into the red, anathema for a club that had prided itself on balancing its books. It could be argued that those players had lost the will to fight for the club and were happy to sit pretty on their inflated salaries at a time when the going was tough. But it was the scale of the January clear out that was staggering. More than anything else it was a cost-cutting exercise, which helped reduce a potentially large budget loss for the season. Did the January sales leave Latics in better shape for the future? The reality is that they were a major factor in the club losing its place in the Championship division. Getting back there is not going to be easy and if Latics cannot gain promotion from League 1 this season or the next they will be in trouble. Parachute payments help provide a huge competitive advantage over other clubs but they will be at an end in the summer of 2016. For the moment the hope is that the purge within the club and the advent of a young duo at the helm will bring forward a shining new era. But even if the dynamic duo of Gary Caldwell and David Sharpe can get Latics back into the Championship division, what would be the chances of them going further? At the end of last season Championship clubs were over £1.1bn in debt, an average of £48.5m per club. The desire to reach the riches of the Premier League continues to drive so many clubs severely into the red. 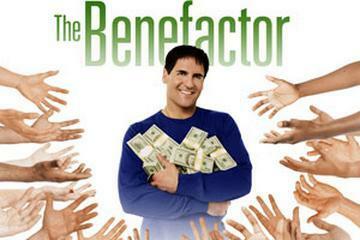 Having a benefactor owner is the key to getting out of the division. But there are clubs in the division who make every effort to live within their means, not an easy matter with the profligacy around. If Latics were to get back there, in which category would they stand? Benefactor owners have made their mark even in League 1, where clubs live within their means much better than in the division above. Last year’s champions, Bristol City, have been bouyed by the funding of Steve Lansdown. Second place Milton Keynes Dons are owned by Pete Winkleman, who moved Wimbledon FC to Milton Keynes in 2001. Playoff winners Preston North End are supported by Trevor Hemmings, who has reduced their debt by more than £50m since 2010. During the 2013-14 financial year, he waived £18.7m of debt and £15m through a share issue. Wigan Athletic will look towards breaking even financially on the current season. They are likely to continue to shed higher wage earners this January, as they did just over a year ago and in summer. Players on Championship-level salaries will be encouraged to leave. Squad size could also diminish. A few miles away in Horwich, Bolton Wanderers will surely do something similar but on a larger scale. They have to drastically cut their costs and a fire sale like that one in Wigan just over a year ago is on the cards. They will surely be heading towards League 1 next season, but will they meet their local rivals there? Whether Gary Caldwell can achieve promotion this season remains to be seen. Perhaps it will be next season, or perhaps Latics will be marooned in a division where they will no longer have a financial advantage over the rest. But in the current climate of English football the level of elevation will depend on the funding of a benefactor. But Dave Whelan’s role in Wigan Athletic’s rise was not solely as a benefactor. He was a visionary who made it possible through his hard work, knowledge and dedication. David Sharpe has a hard act to live up to. But he has already revealed a vision that can take the club forward, impressive for such a young man. But is Sharpe capable of being the chairman who can not only run a balanced budget this season, but provide the benefactory backing for the club to eventually get back into the Premier League? The Whelan family have done so much for Wigan Athletic over the past two decades. How much more can we expect from them? Very good article and well written always enjoy reading your website. ← Where will Latics finish?